As of 2011, reported offerings include: baked goods, cheese, crafts, flowers, vegetables, honey, meat, plants, and prepared foods. As of 2015, reported offerings include: baked goods, crafts, flowers, eggs, vegetables, honey, jams, meat, plants, prepared foods, soap, fruits, and pet food. As of 2015, reported offerings include: baked goods, cheese, crafts, flowers, eggs, seafood, herbs, vegetables, honey, jams, maple products, meat, nuts, plants, poultry, prepared foods, soap, wine, coffee, beans, fruits, grains, juices, mushrooms, and pet food. 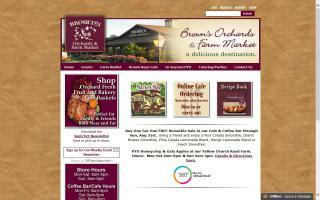 "Your Saturday Morning Oasis" for fresh, local, homegrown and homemade! Grower- and producer-only open-air farmers' market each Saturday, 8:00 a.m. - Noon, second Saturday of May through second Sat. of October. Fresh produce, farm-raised meat and poultry, free-range eggs, baked goods, mushrooms, value added products like jam, cider, sauces, soup, etc., vegan and gluten-free baked goods, gourmet popcorn, organic herbal tea blends, homemade brooms, homemade soap, plants, nursery stock, native and edible plants and more - all grown and made within 50 miles of the market site! Some vendors accept credit cards; some vendors accept FMNP and SFMNP. 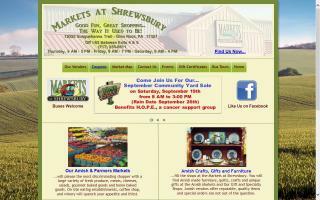 Occasional special guests, displays and children's activities through the season. Dillsburg Farmers' Market is a partner member of Buy Fresh Buy Local York County, Farmers Market Coalition and supports "Farm to School" efforts in our local school district. As of 2015, reported offerings include: organic products, baked goods, cheese, flowers, eggs, herbs, vegetables, honey, jams, meat, plants, poultry, trees, coffee, beans, fruits, juices, and mushrooms. Cedarland Farm is a small sheep farm offering registered Natural Colored Icelandic Sheep and fleeces for sale.